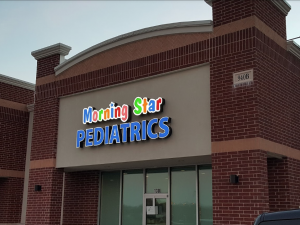 We welcome you to Morning Star Pediatrics in Allen, where your child’s health is of utmost importance. We provide comprehensive care of children from newborn to 18 years of age. Morning Star Pediatrics opened in 2011 in downtown area of Allen and upon outgrowing our space, we were fortunate to move to a permanent setting in West Allen in the fall of 2016. Our new location allows us to serve not only Allen, but is very convenient for patients coming from McKinney, Frisco, Anna, Melissa and neighboring areas. No two doctors are alike, and you probably think about many factors when choosing a physician for your child. We are a pro-vaccine pediatric medical practice and aligned with American Academy of Pediatrics which promotes vaccines to be fundamental in preventative modern medicine. Please see the Immunization Page for details on how we manage this service in our practice. We encourage you to check some of the links below and our office welcomes prospective patient families including expecting moms to visit with the Doctor to see if it fits your philosophy for a child’s medical home. Serving Allen, Fairview, Lucas, McKinney, Plano and Surrounding Areas in North Dallas. Educating families with the many challenges for your child. Access to our office or the nurse line 24 hours, 7 days a week including major Holidays. 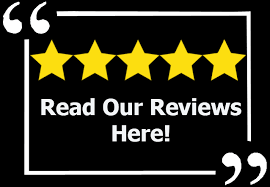 We take great pride in providing exceptional service. You will find our staff engaging and willing to work very hard to make your visits to our office as smooth as possible. Click on the below links for more details. 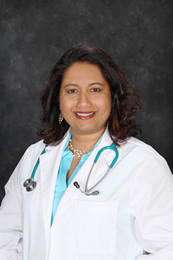 Dr. Thomas has been practicing medicine since 1998, initially in Chicagoland till 2007 and thereafter in DFW metroplex. She is Board Certified in Pediatrics, a Diplomat of the American Board of Pediatrics and an active member of the American Academy of Pediatrics (AAP). Dr. Thomas completed her residency in Pediatrics at Helen Devos Children’s Hospital (aka Butterworth Hospital) in Grand Rapids Michigan – affiliated with Michigan State University. Dr. Thomas was raised in Canada in the picturesque city of Kingston, Ontario. She has lived on and off in the DFW metroplex since 1989. Dr. Thomas is a local resident of Allen where she lives with her husband and 2 children. During her free time she loves to read, is active in her local church and is involved with her kids activites. Besides her gentleness with patient care, her passion is to use the practice to build relationships with the families, educate, and follow her patients through the different stages of their young lives. Dr. Thomas has keen interest and experience in managing the following areas: ADHD/ADD, Sensory Integration Disorder, Autism Spectrum Disorders, and the complete care of an internationally adopted child.